Remember kids: always cite your sources! Misattributed and even completely made up quotes have been around since time immemorial. Long before Wikipedia, magazines, newspapers, and books, humans have been constantly ascribing words to people who never said them ever since the earliest oral traditions. The internet and its constant demand for speed over accuracy, however, has made this whole issue a whole lot worse. Rather than checking the accuracy of a source, it’s just easier to assume that the information is correct and to just copy and paste it. After all, the person before you probably did their due diligence… right? Sailor Moon would have been better without Naoko Takeuchi’s original manga. Say what you will about Director Ikuhara’s rather… unique personality, but I was pretty surprised to see such a big name in the anime world go out and openly speak ill of the creator — the mother, if you will — of a franchise he dedicated years of his life on. However, everything else about it seemed to check out. Unlike other absurd and baseless fan rumors, the further down the rabbit hole I went, the more information I was able to uncover its legitimacy. Another source says it was an anime magazine, and some say Animage specifically. Animage had a strong relationship with Sailor Moon, even holding official contests for episode concepts, so that seems about right. Sleuthing never felt so good. That is, of course, until I finally tracked down the relevant issue… only to discover that there’s not a single mention of Ms. Takeuchi in it. Or even Sailor Moon for that matter. Once again, we came up blank. No mention of Ms. Takeuchi, and only a passing mention of his work on Sailor Moon. How was such a sure thing going so horribly wrong? Well, the more I began to read into the context surrounding these internet “quotes,” the less and less sense they began to make. Apparently Director Ikuhara blamed her for the Sailor Moon series ending at Sailor Stars. But that didn’t make any sense. The last episode that he worked on was episode 166 — the last episode of Sailor Moon SuperS. He had moved onto his own projects and left Sailor Moon before Sailor Stars had even started, so there’s no reason for him to be upset about it. Yet other sources claim that this quote, in fact, is the very reason why Director Ikuhara didn’t work on Sailor Stars — apparently Ms. Takeuchi was so incensed by his remarks that she demanded Toei pull him off of the anime. Alas, that doesn’t make any sense either. Even assuming that the quote was misattributed both in time (1997) and context (about Utena), Director Ikuhara had already left Toei shortly after his final episode in 1996 to form his own creative thinktank, Be-PaPas.6 It’s kind of hard to get someone fired when they already quit. That being said, the idea of a strained relationship between the two of them isn’t entirely unfounded. Ms. Takeuchi herself admits in her afterword in the manga version of The Lover of Princess Kaguya7 that the Sailor Moon R movie caused her untold amounts of stress due to how it deviated from her story, and even goes on to apologize for how much of a fuss she rose with people in order to make sure she was involved in the Sailor Moon S movie. Despite her apology, however, Ms. Takeuchi still mentions at the end that she’s sad that the anime doesn’t track closer to her original manga storyline, though she admits this is a byproduct of the fact that they’re both being created in real time. Passion is incredibly important for creators. Take Naoko Takeuchi, creator of Sailor Moon, for example — her designs are amazing. She loves figure skating, and she put all sorts of figure skating design elements into their clothes. So does Director Ikuhara hate Naoko Takeuchi? While it’s entirely possible that he may have some sort of resentment toward her for one reason or another deep inside, I’ve been unable to find anything that would suggest that’s the case. When I first started looking into this question over a year ago, I figured it was going to be an open-and-shut case considering how specific the quote, even down to where and when it first appeared. Read also: Who Knows the True Identities of Sailor Moon and the Sailor Team? However, at the end of this long journey, the only evidence I’ve come up with is actually to the contrary — in every interview I’ve read with him, Director Ikuhara always praises Ms. Takeuchi’s work, even going so far as to say that he originally “didn’t get” the story the manga was trying to tell until the series became a hit around Sailor Moon R, and he tried to keep in mind that the series was supposed to be much more than a plain-old drama. Anyway, that’s all I’ve been able to uncover about the supposed Ikuhara/Takeuchi feud! But what do you think about all of this? Do you get any sense of animosity behind the scenes, or was there more going on with Ms. Takeuchi’s ultimate buy-out of the anime broadcasting rights than a simple disdain for the people who made it? I’d love to hear you all chime in below! I had no idea this rumor was such a big thing. I’m glad to see that there’s nothing to it after all. Thanks for debunking it! I remember finding an “article” a long time ago about how a bunch of famous mangaka were offended by adult-oriented doujinshi of their characters. It included Naoko Takeuchi supposedly sobbing over the matter (as if Naoko would ever cry openly or complain about doujinshi when she’s stated quite clearly that she’s happy about them). It always amazed me how brazenly people will just make up interviews and quotes from Japanese creators because language barriers make it harder to fact check. That’s why I try to include the Japanese, or at least the exact magazine/article and page number when I give a quote. The whole “trust me~~~~” approach to making up quotes just doesn’t sit right with me. I mean, creative differences exist, but describing them as “hatred”? I can totally see Takeuchi not being fond of certain changes the anime made, for more complex reasons than “OMG, how dare they not follow my work perfectly?!”. Writing something around a specific idea and then seeing the adaptation completely discard it in favor of something else does tend to feel a bit weird. Ikuhara, though? From how the anime turned out, it seems like he had plenty of freedom to do what he wanted. Unless the supposed quote is meant to imply that “Sailor Moon” should’ve been a mostly-original anime based on Takeuchi’s characters, rather than having an ongoing manga series as a basis? But that’s even weirder, because most of the major “conflict points” seem to have been about how the characters were portrayed in both versions. Plus, I don’t know what the heck happened during the development of SuperS, but the more I watch it, the more it seems like the anime staff was actively trying to get it cancelled (there’s “parental bonus”, and then there’s THAT STUFF). SuperS has… some redeeming qualities, but it’s definitely my least favorite season in the series. It’s hardly bad, but it’s nowhere near as good as the others. There’s just something about how it seemed to turn into some sort of “ChibiUsa & Usagi Comedy Show” that bothered me, especially when they had such a huge, awesome cast of other characters to also play with — like, you know, the Outers that got completely cut? And don’t get my started on the creepiness of the Amazon Trio restraining women and reaching inside them while they screamed. That did, and still does, seem like someone’s creepy fantasy that should never have been in the show. Yeah, I’ve been wondering… There must have been some major decisions made on the producer level for the show to do a complete 180 from the previous season, right? But to me, it makes no sense that they would go more “kid-oriented” and then stuff the season full of honestly questionable material (and it’s not just the Amazon Trio, either). > And don’t get my started on the creepiness of the Amazon Trio restraining women and reaching inside them while they screamed. That didn’t seem weird at all to me when I was younger, it was just bad guys doing bad guy stuff. Now that I’m older… it really seems wrong to me. There are a lot of different ways they could have come up with for the process of searching someone’s dreams, and for some reason they chose that. And it’s such a weird contrast with the rest of the season which was dumbed down and targeted to a much younger audience. Honestly, the Amazon Trio creeped me out back then, too, (I was like 18-19, though) and I was kind of shocked they’d show that on Cartoon Network. I wasn’t so much bothered by it as I understood they were evil, but even young I kind of saw the analogy of it. The position even, right over the chest. I don’t know how I feel about it, it’s akin to the forced kiss to steal men’s hearts in the S season by Mimette’s Daimons. But somehow felt even more of a violation. I think it was both extremely creepy and wrong feeling, but also got across the depth of how bad this was for these people. To sum it up, it felt wrong on so many levels but it definitely did the job. I was also a bit turned off from the season due to the Amazon Quartet. Personally, I feel this was when Naoko’s designs jumped the shark. Not to mention the questionable appropriateness of these outfits. How old were these girls and where’s there mama?! But mainly the hair. How I hate their hair. SuperS was not very good. It has its moments but it feels like this is where the anime really deviated for the worst. I also felt Stars was such a deviation and retread of previous plots that it is a close second to “worst season”. The anime certainly improved on some things from the manga, but it also really hurt the plot. If I’d been Naoko Takeuchi, I’d have been furious by this season. When I first saw Stars I thought it was the worst. It was just so strange compared to what the show had been before, I don’t know why they made the Starlights male, and writing Mamoru out of the season was just bizarre. And the way they wrote him out was the worst. Four seasons about Usagi and Mamoru’s “miracle romance”, where they’ve repeatedly needed to save each others lives, and suddenly Mamoru’s leaving the country for a year? It was such a pile of nonsense, and the convoluted storyline and the ending that came out of nowhere left me pretty disappointed. When I got around to a rewatch, I realized I had severely overrated SuperS and somewhat underrated Stars, so now my opinions match yours. I’m curious what your favorite season is… mine is the second season, did I match your opinion there too? It’s a shame the quality dropped so much after three incredibly good seasons. That’s why I was starting to get excited about Sailor Moon Crystal, which started poorly and then saw a quality increase. I wanted to see SuperS and Stars done right… and then they just stopped making it. What a shame. I think my favorite season would be pretty much a tie between the first three. They all had good and bad points (bad mostly due to filler). I know that sounds like a cop-out, but it’s hard for me to decide. I loved the villains in season 1 and 2 and felt they were much more realized than those that came after. Season 3 wasted too much time with Eudial and Mimette. I too felt like it was opposite with Crystal…bad start, good buildup. Whatcha gonna do brother, when Takeuchimania runs wild on YOU! Don’t you mean: Macho-Moon Bunny Savage. Snap into a meat-bun!! Also, while I appreciate manga Rei and love her traits…does anyone else feel that anime Rei is a lot more fun and adds more to the story? I actually loved her dynamic with Usagi since it reminded me of my best friend and was so different than the other senshi. I get what Naoko was doing with trying to make Rei a “cool and mysterious” character, but honestly it just didn’t really work for me in the manga. She’s not a bad character by any means, but I definitely prefer anime Rei over her manga version. TBH, manga!Rei wasn’t so much “cool and mysterious” as she was simply the “anti-Minako”. In both her personality -and- her character design. The anime, possibly due to its weird delays in character introductions, lost the whole Mars vs. Venus quirk entirely, instead going for a more obvious fire vs. water one (because Ami was already there). 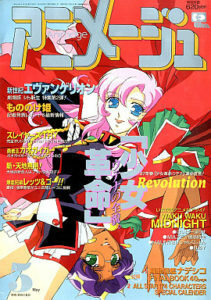 Manga readers, though, already knew Minako from the Sailor V pilot and ads. Have you ever talked about Naoko’s statements about the R movie in your blog? As someone who never read the manga in its entirety, I never heard of her getting upset over it. And I have been lurking in SM-related groups and forums for quite a while. The only thing I’ve been able to find was this apology written in the back of volume 11, so I’m guessing that a lot of it went on behind the scenes. It is possible that she discussed it shortly after the movie came out either in Nakayoshi or in the original manga releases, though, so that might be worth checking! Back in the day when Sailor Moon was taking the world by storm (and in its final season), I remember reading an article in a Spanish anime & manga magazine where it actually confirmed that Takeuchi Naoko and Ikuhara Kunihiro had a very good working relationship (Ikuhara consulted Takeuchi frequently about the story and characters; and she seemed to approve of the direction his adaptation and expansion went), but both were annoyed at studio interference and demands. 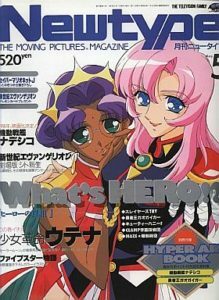 Both tried their best to find ways around said obstacles, yet unfortunately by the time SuperS was in production Ikuhara wanted out, mainly to venture on his own; and Takeuchi by then had too many misgivings about Toei. Also, people should keep in mind that what works in one medium (manga) doesn’t necessarilly translate well or function at all in another (anime). It is unrealistic to expect a faithfull adaptation. Rather than Rei’s character being tweeked, I would’ve been a bit more incensed over the changes done to Minako if I was Takeuchi. I wonder where that info came from. It was always my suspicion that the anime suffered from a massive case of ‘executive meddling’, and that the staff wasn’t directly responsible for most of what went particularly wrong with the series. The tone shift between S and SuperS is a good example, but there’s also plenty of ‘strange’ writing decisions in S, and I’m not talking about HaruMichi here. Not yet, anyway. You’re right about the source material not always reflecting properly in an adaptation (I think we all know by now, thanks to Crystal), but some of the changes the anime made honestly did more harm than good, and not all of those can be justified by its episodic format. Lol don’t get me started XD. And as another commenter mentioned, Rei’s manga character makes more sense in relation to Minako’s manga character. It seems like with Rei being so different in the anime Minako suddenly falls apart into a side gag. They instead try to peg her counterpart as Makoto but in doing so they barely give her any redeeming qualities >.>. It’s pretty sad given her strong role and history in the manga :/. I couldn’t agree more about Minako. It’s one thing to enhance the silly side of her character, but another thing to make that all that she is. I was fine with them replacing her heroic moments in the first season (I never liked the sword idea, and it should be Usagi’s moment) but to completely remove that part of her character was unnecessary. Just a small moment here or there where Minako takes charge would have meant a lot. Have you ever done a summary of how each character was changed for the anime? Ami is probably the one who stayed the most similar over the two series, in my opinion. Usagi: Changed quite a bit. Manga Usagi is more mature, especially after the first arc. She is empathetic and dreamy, very princess like. Anime Usagi is quite the character, and I love her, but she is way too much of an extrovert compared to manga Usagi. I’ve even read articles that state as personality types, manga Usagi is an INFP (daydreaming mediator type)while anime Usagi is an ENFP (outgoing champion type). Live action Usagi falls somewhere in beteween, but I’d say she’s still closer to the anime version. 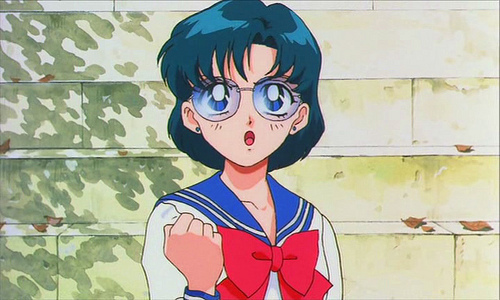 Ami: Pretty similar across all iterations, except in the live action where they really turn up her insecurities. I love Ami so much because she’s such an intellectual and still has these insecurities and is a team player all while being an introvert. Rei: Possibly the most drastic change. As for personality types, I’ve seen manga Rei listed as an INTJ with anime Rei being more of an extrovert. I think we all know the changes here. Live action Rei was definitely mostly manga Rei, in my opinion. And I feel her personality here was better showcased than it was in the manga. It made sense. She had a great backstory and character growth, whereas in the manga she is static. Mako: She’s kind of similar across all incarnations, more than the others besides Ami, probably. But I feel the manga does a better job of showing off how she’s a motherly type. Very strong and protective but also very feminine. I didn’t have a problem with any changes made to her since they were fairly minor. Minako: She’s difficult to pin down. She was pretty goofy in Sailor V but was more serious in the manga after that, for the most part. In some ways, she is exactly the same but I feel that she lost a lot of her leadership nature in the anime and was used for comic relief, like Usagi way more in that version. In the live action, she is basically Rei 2.0 with very tiny hints of her original personality. She is by far the most changed in that series. Also, so tragic. I’m sure anime Minako would have approved of that plot for all the drama. Chibi-Usa: The anime made her unlikeable. They took a vulnerable character and made her a brat. Was it for the best? Maybe. Sometimes her antics were hilarious and in the manga she’s basically a clone of Usagi with little to distinguish the two. Anime Chibi-Usa is way more fun for kids, but for me, she was also just annoying…mainly because I felt like she sucked up all the time for other characters. Setsuna: Basically the same. She was a bit quirkier in the anime, but nothing drastic. Haruka: Both versions have some issues. Manga Haruka is a jerk. She tries to play it off but really she’s a jerk. A loveable one, though. Anime Haruka is a jerk too. Just in a different way. Michiru: Basically the same with anime Michiru being a bit more of a you-know-what at times while also being somewhat more fleshed out and knowable. Honestly, I prefer the original anime to the manga. But as an aspiring manga creator, I guess I’d be upset if the anime based on my manga, although I could probably learn to live with it. I can see both sides to it. Naoko definitely looks at Sailor Moon as her baby… but on the other side, Sailor Moon was only created in cooperation with Toei because they wanted to make an anime. If it wasn’t for them proposing to make an anime, Sailor Moon would have never been created in the first place. Good point. If she hadn’t been involved at all, we’d have gotten another, similar series. Or they could have even just let her do character designs. That said, I’d be really angry if they made that drastic of changes but also very excited to see what path it took.